contributing to the resource we would be helping others become home-owners, interest-free. It all seemed to make sense and be in harmony with God's Word. So after much prayer, and finding a total peace about it, we signed up in August 2008. Carey Baptist College our finances were stretched but God's faithfulness always saw us through and our needs never went unmet. 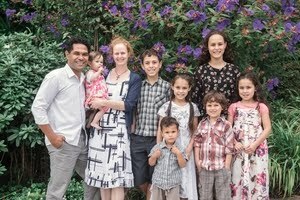 God's guidance, love and provision faithfully continued as Robert and I and our five children moved to Auckland for Robert to do further studies and Pastoral Training. During those years of study we had to lower our contributions to just $50 per week but finally we met our target and patiently waited for our loan to come through, still having no idea what we would do with it. However, we were certain that God had a plan for it. In May 2017 we were pleasantly surprised to receive a letter stating that our small loan was ready. At that time though, Robert and I and our seven children were in a transitional stage, staying with family and uncertain where we were going to be living, so we weren't in a position to take up the loan. However, we finally moved to Nelson with Robert taking up the call to pastor Nelson Baptist Church and we moved into the manse - our seventh move in four years. But what were we to do with our loan? House prices in Nelson were double the size of our loan, and we weren't keen to buy a tiny flat to rent out. Perhaps further afield we might find something affordable? 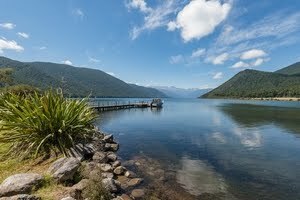 Yes, God had planned all along a cosy little house in the bush at Lake Rotoroa that we were able to buy (in June 2018) that would serve perfectly as a retreat, a peaceful haven to rest and refresh ourselves while in ministry, and a place to bless others who need a break from the busyness of life. Our loan size was exactly the amount needed and we were amazed at how God orchestrated the whole process of the sale, both at Ark Resources and the real estate side of things. We are so thankful to God for blessing us in this way and thankful to Liberty Trust and Ark Resources for enabling us to own a home.